Did you know that second to skin cancer, breast cancer is the most commonly diagnosed cancer in women. It begins as a malignant tumor that starts in one tissue and may spread to other parts of the body. 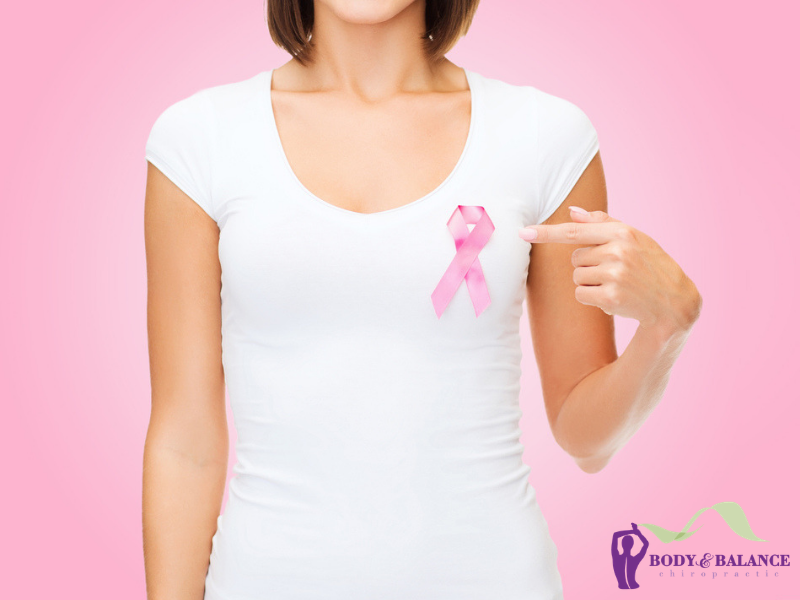 According to the American Cancer Society, 1 in 8 women will develop invasive breast cancer during their lifetime. While breast cancer predominantly affects women there are over 2,000 men newly diagnosed each year in the US. There are about 230,000 new cases in women (National Cancer Institute). Breast cancer may be caused by inherited genetic mutations but other risk factors include radiation exposure, high levels of estrogen, or a family history of disease. In both men and women hormones play a role in breast related problems. As with most health issues there are preventative measures that can be taken. Several doctors and researchers have begun to look at the link between breast health and wearing of bras. The theory is that a snug-fitting bra can restrict lymph flow and impeded the body’s ability to remove toxins from the breast tissue of the body. Michael Schachter, MD believes that over 85% of the lymph fluid flowing from the breast drains into the armpit lymph nodes. The nature of a bra, its tightness, the length of time it is worn, etc. can influence the degree of blockage. Although the verdict is still out between breast health and wearing bras, it can’t hurt to find a wire-free, comfortable, less tight-fitting bra option. Breast cancer screening options are debatable, but one that that Dr. Joseph Mercola points out is that x-rays and other classes of ionizing radiation have been recognized as a cause of virtually in all biological mutations. X-rays are established as a cause of genomic instability (often a characteristic of the most aggressive cancers) and that radiation risks are about 4x greater for the 1-2% of women who are silent carriers of the ataxia-telangiectasia gene. This can account for up to 20% of all breast cancers diagnosed annually. When looking at all of this, reducing exposure to medical radiation (such as that associated with mammography) could reduce mortality rates. Beyond the risk of radiation, there is also the additional concern of the common false-positive diagnosis, which is reportedly as high as 89%. This results in even more radiation exposure as patients undergo second and sometimes even a third mammogram to confirm or disprove the results. While mammograms are still being recommended, there are safer alternatives; the safest alternative being thermography. Thermography uses no mechanical pressure or radiation and can detect signs of breast cancer as much as 10 years earlier than a mammogram or a physical exam. Since it is mapping out the body, a mass does not have to be growing for years to reach a certain size before detection (as it does for mammograms). You can visit www.BreastThermography.com and click “Find a Center Near You” or Google “Breast Thermography Center near me” to find the nearest center. 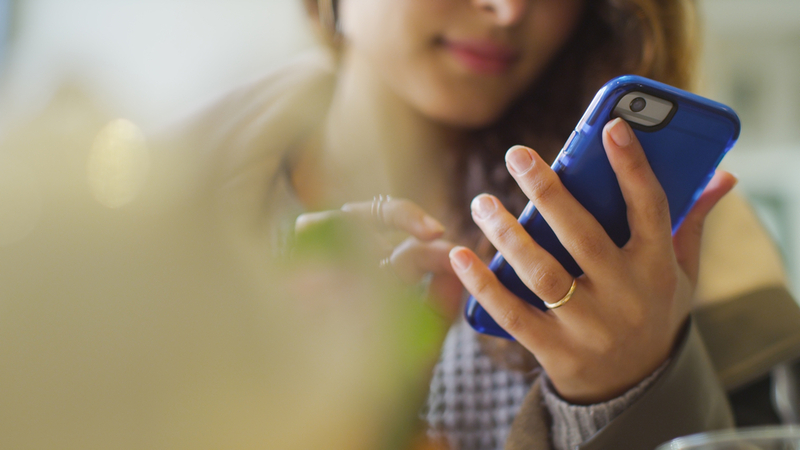 While science has not confirmed a link between cancer and cell phone use, Dr. Devra Davis has been researching the safety hazards of radiation coming from cell phones. She recommends not carrying cell phones on your person and never putting your cell phone in your bra. She believes it’s not the power of the phone but the erratic nature of its signal and ability of that signal to disrupt resonance and interfere with DNA repair. This was shown with a case of a young woman diagnosed with breast cancer who had no other risk factors other than carrying her cell phone in her bra. Her cancer cells lined up with the shape of her cell phone. While this doesn’t prove the cell phone caused the cancer, it does justify a general rule of thumb to not carry your cell phone on you. What can you do to be proactive in your breast health? Avoid sugar, especially fructose and processed foods. Include healthy omega-3 options and other healthy fats in your diet. Regular and routine exercise can lower your cancer risk as it regulates your insulin levels and balances other vital hormones. Do not carry your cell phone on your body. Optimize your vitamin D levels by spending more time outside in the fresh air and sun. Research is now showing that 30% of breast tumors go away on their own because of a health immune system. Since the central nervous system (brain, spinal cord and nerves) is the master controller of all your body’s other systems, the immune system will function at its best when the central nervous system is optimally functioning. Dr. Elyssa is trained to remove interference to the nervous system which will help your immune system function at its best. To learn more about the benefits of chiropractic care and the benefits of making it part of your family’s wellness lifestyle click below to schedule a complimentary consultation with Dr. Elyssa today. To learn more about breast health read the full newsletter here.